Rhinoplasty, or what is called a nose job in everyday language, is actually a surgery to reshape the nose and improve its function. This is done for different reasons. Some people do it for medical reasons, like breathing problems related to nose or problems relating to trauma or birth defects. But some other people do it for beauty reasons, hence cosmetic surgery. According to the Plastic Surgery Statistics, a nose job was the third most popular cosmetic surgery in 2017. But the interesting point is that, nose job in Iran is the first popular cosmetic surgery; That is why Iran is called the capital of nose surgery in Iran! Obviously, there must be many different surgeons in Iran doing the nose job. Here Iran Destination, a Persian travel agency, tries to give you all information you need about nose job, especially nose job in Iran. As nose job in Iran is so cheap, many people from around the world decide to do it in Iran. Of course lots of questions come to their mind. Here you can find the answers to all these questions. Just follow this Iran Travel Agent. Usually for a nose job, you will get general or local anesthesia. General anesthesia makes you sleep during the whole surgery, but the by the local one, you will be sedated and your nose will be numbed so that you can relax and not feel the pain during the operation. Also, there is no need for overnight stay, so this is called an outpatient procedure. During the surgery, the doctor makes cuts within the nostrils. In more difficult cases, the surgeon may also make some cuts across the base of the nose. They will then reshape the inner bone and cartilage to produce a more pleasing appearance for your nose. The recovery of nose job mostly depends on the type of rhinoplasty, but generally the downtime is about one to two weeks. 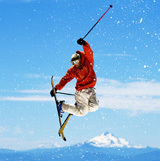 Most of people have a rapid recovery in 5 to 6 days. After 6days you can remove the split from your nose. There will be a little swelling which not everyone notices. You can go back to your social life after 3 to 6 weeks without any sign of the operation. Although the primary recovery is quick, the complete healing may last to one to three years, because the skin has to shrink to the new framework. Dorsal Hump: there is a bump at the bridge of the nose. Nasal Width: the nose is too narrow or too wide. Prominent nasal tip: the nasal tip is round, fatty, bulbous or disproportionate in comparison to the rest of the face. Asymmetry: the nose is twisted or deviated. Nasal airway problems: the internal valve is collapsed. Note that the nose should be mature enough – usually over the age of 15 and better to be 18 and above. Also other types of maturity are important; for example, emotional maturity (patients understand implications, risks and the purpose of the operation). Being pregnant or having special health problems interfere with the nose job. You need to consult with a doctor before making your decision. 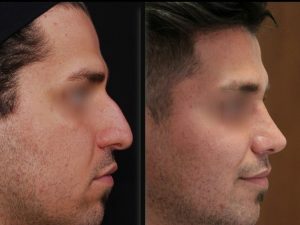 Is a nose job covered by insurance? Usually health insurance does not pay for cosmetic reasons. But if there is a functional problem such as breathing problems, just that portion of the surgery can be covered by your health insurance. I want to have a nose job in Iran. What next? To have a nose job in Iran, you need to first collect your medial files, and IDs and send them to a Persian Travel Agency, just as Iran Destination. You can also ask any questions in your mind to be consulted with the Iranian surgeon. We will arrange a direct contact with professional Iranian surgeons, so you can have all the information you need for your nose job in Iran. There is the opportunity to see the result of your nose job through Photoshop before the surgery, this way you can make your decision better. Also, if needed, you can have one night hospitalization based on your surgery. Actually you can save up to 80% by having your nose job in Iran. The nose job cost in Iran depends on the specialists’ fee. But all in all, it is much cheaper than other countries including American and European countries. contact us for detailed costs of a nose job based on different clinics and surgeons. But for sure, some of the doctors are more famous and do it better. So it’s better to have a local, such as Iran Travel Agent, manage all you need for your surgery. Can you fly after a nose job in Iran? As we mentioned before, you might need 1 night hospitalization and after that, you have to stay at your hotel from 7 to 10 days. After this period, you can fly back to your hometown. Do you need a patient care attendant after a nose job in Iran? Having a care attendant is not a necessary after a nose surgery. If you like, you can have your family members or any of your friends beside you to take care of you. But if not, and if you want to travel to Iran alone, you can count on Iran Destination, Iran Travel Agent, to have a friend beside you. All Iran Destination has in mind is to assist all those who like to travel to Iran, no matter what their purpose is; whether it is for pleasure, treatment, study, etc. This Persian Travel Agency offers different Iran Travel Services, including Iran tours. You can take a look at our Iran tour packages to have some pleasure beside your treatment. If you have any questions regarding your Iran travel or any other issues, please feel free to contact us. Our Iran Travel Agency is always ready to answer you.